Purchasing your own holiday home in Scotland has many perks. Not only are you surrounded by beautiful, picturesque landscape throughout the year, but it’s an investment of a lifetime for the whole family to enjoy. Come with us and explore four of the top reasons why buying a holiday home with Sands of Luce is an opportunity not to be missed! 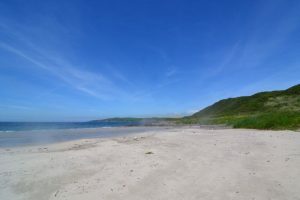 Sands of Luce in Dumfries and Galloway has been selling caravans in this idyllic setting for many years and prides itself on giving its visitors and holiday home owners fantastic value for money. Our modern and luxurious holiday homes will leave you feeling relaxed and a place to come together as a family after a day of fun-filled activities. Our static caravans and holiday homes are fully furnished with spectacular specifications and are fitted with easy to clean fabrics and modern spacious features. With various sizes and number of bedrooms to choose from, you will be spoilt for choice when it comes to choosing your very own holiday home. Sands of Luce holiday homes are located within just a few metres of seven miles of golden Scottish sand. Waking up to a crystal clear sea view from the double doors of your holiday home has got to be one of the top reasons to purchase your very own. We can’t think of a better way to wake up in the morning! Sand of Luce is located on a 7 mile sandy bay near the village of Sandhead. Castle Kennedy Gardens is a highlight of the area and attracts people of all ages due to its wonderful colour and vast, panoramic scenery. Why not pack and picnic and spend the day exploring the ground? Described as ‘one of the showpieces of Galloway’, it’s a tourist spot not to be missed. If you fancy finding out a little bit more about the town and its history, stop off at Stranraer Museum where you can learn more about the town, its archaeology and what has made it famous dating back centuries. For the kids, there’s a fantastic interactive sea exhibition to learn from and play with, keeping everyone entertained! Throughout the year there are always events and activities to look forward to at Sands of Luce, whether it be our specialist summer activity programme, woodland parks to explore and our outdoor play area and indoor games room. If you fancy some mouth-watering food after building up an appetite, then head to the Lighthouse Bar, where we serve quality food from Breakfast through to dinner. Come rain and shine, there is always something to do at Luce Bay holiday park, so come and join us – that’s if you can get away from the comfort and warmth of your holiday home! Jack continues: “Whether you are a first-time static caravan owner or want to upgrade then get in contact today to make the most of our competitive prices, beautiful coastline and top-rated site – perfect for all the family to enjoy.” We look forward to speaking with you about our stunning caravans for sale in Scotland, soon!